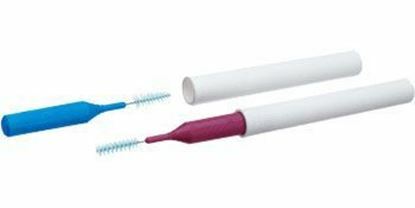 Interdental cleaner ideal for patients with healthy gingiva, dental restorations, orthodontics, or those who have trouble flossing. Contra angle design helps reach and clean difficult spaces. Helps patients maintain healthy gingiva, and is perfect for those with restorations, orthodontics, or who have trouble with flossing. 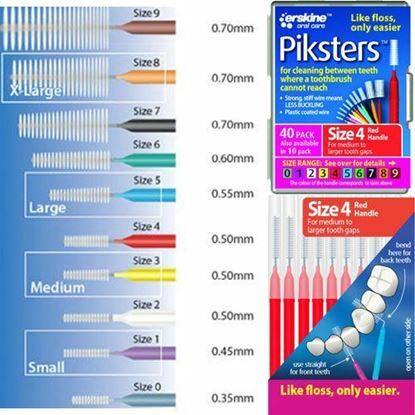 Tapered brush fits in spaces as small as 1.2mm. Each brush comes in a lightweight case for on-the-go protection. Tapered brushes remove plaque between teeth and around bridges, braces, crowns, and implants. Nylon filaments and nylon-coated wire will not scratch implants or cause galvanic sensitivity. 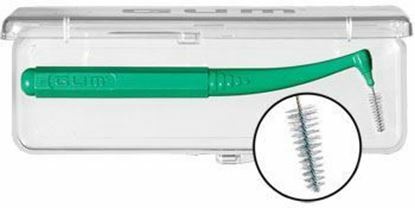 Simple latch system holds brushes securely, and makes them easy to replace. 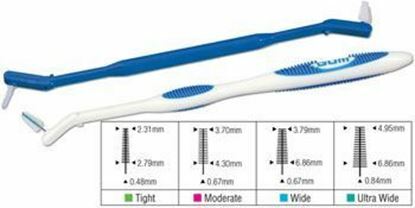 Effectively cleans the gaps between teeth and removes decaying food particles which cause bad breath, plaque formation and gum disease. Wire diameter 0.5mm. General oral hygiene needs, bridges & implants, posterior and anterior usage. Compact, convenient, pocket-sized Trav-Ler requires no loading. 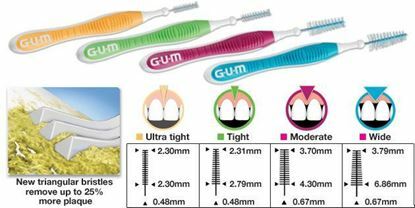 Ventilated cap protects the interdental brush and can be used as a handle for easier posterior reach. 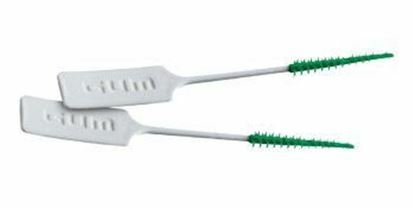 Brush head bends up to 90° for easy access. May be used with implants.